Our current show M*A*S*H*E*D has now entered its last few days on show in our gallery, so if you’ve not yet visited NOW is the time. The exhibition from artist War Boutique examines society’s relationship with the military, civil disobedience and the parallels between the uniforms of war and mainstream fashion trends. The show has been hugely well received and successful. Amassing a number of glowing reviews across the art press and drawing huge numbers of visitors to our central London space. Click above or follow this link to watch our full length video interview with War Boutique. 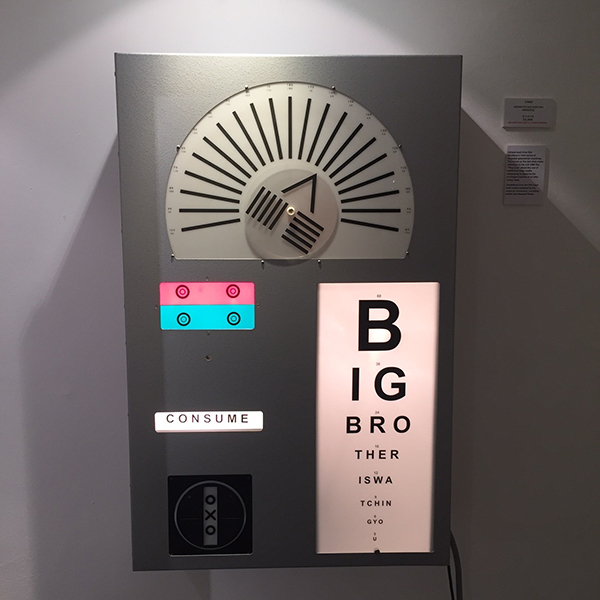 Unique work from War Boutique’s i-test series of recycled optometrist machines. The words on the test dials are taken from the cult 1988 film “They Live” about the use of subliminal mass media messaging to preserve the privileged position of an elite ruling class. Quotations from the film have been widely adopted by the street art movement, including artists like Shepard Fairey. Heavy Heart is a spray paint on MoD heart plate. 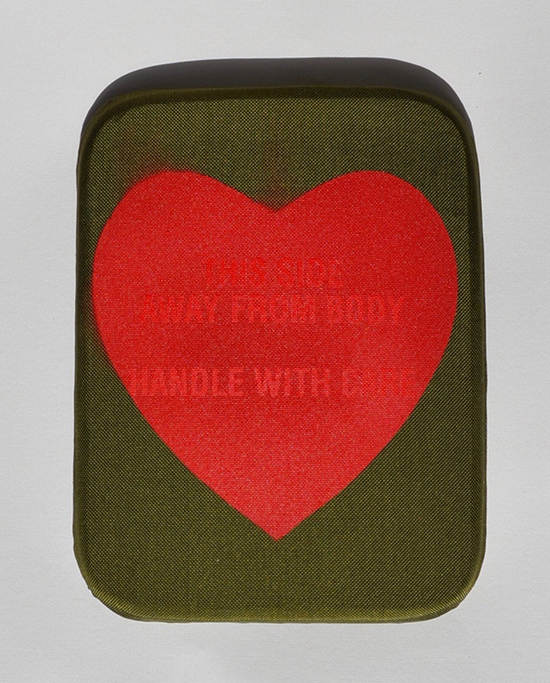 This poignant work superimposes a red heart onto a khaki ballistic nylon MoD ceramic heart plate, on which the words “this side away from body” can still be faintly read. Detachment between emotions and body for soldiers. CA IRA is a 1/1 unique from the Camofleur series. 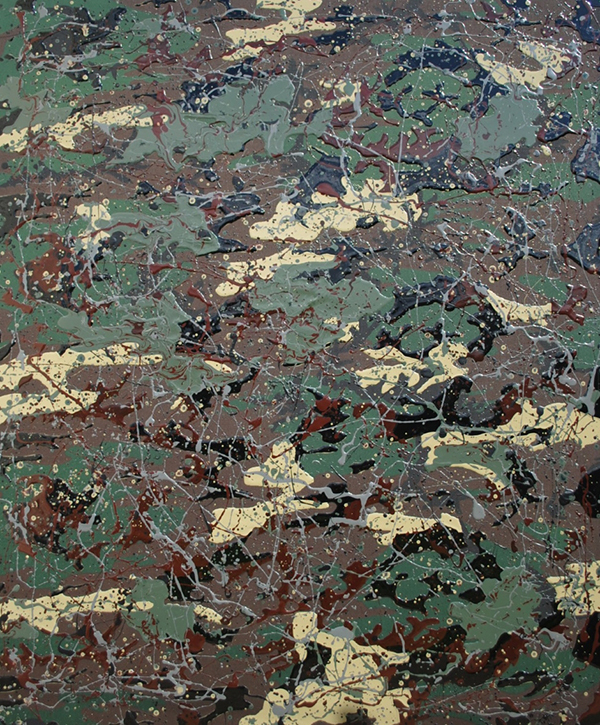 Based on current issue French military camouflage fabric, the title ‘Ça Ira’ roughly translates as ‘It will be fine’ - refers to a popular song of the French revolution, originally written by a soldier. RUC baton assemblage on Belfast City street cobble. 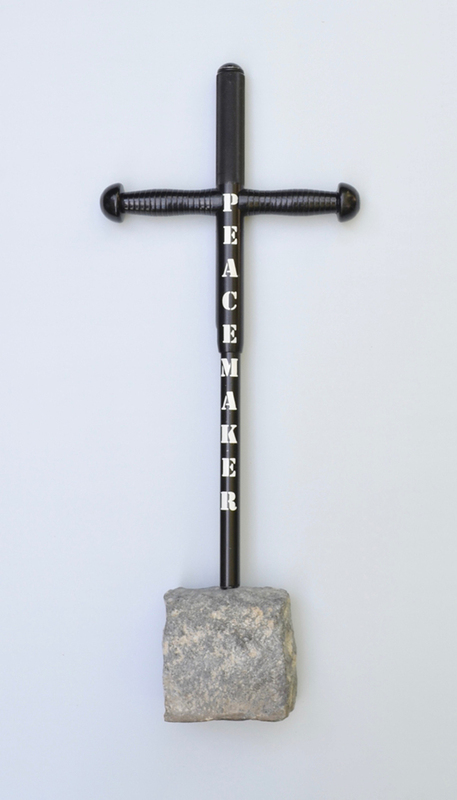 Unique, last in a series of four individual ‘peacemaker’ baton works. 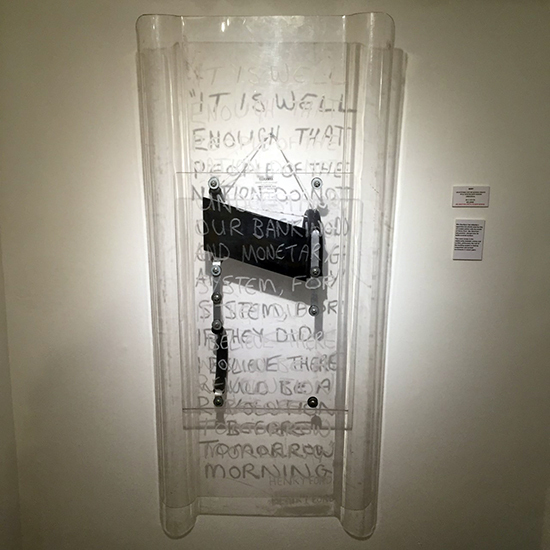 £2K (70x30x10cm). Peacemaker is a new work, never shown before, and the last in a series of four individual baton works from War Boutique’s ‘peacemakers’ series. It recycles parts of original police batons used by the Royal Ulster Constabulary in Northern Ireland during ‘the Troubles’, rebranding them and burying their base into a Belfast street cobble. You can view all works from War Boutique here. 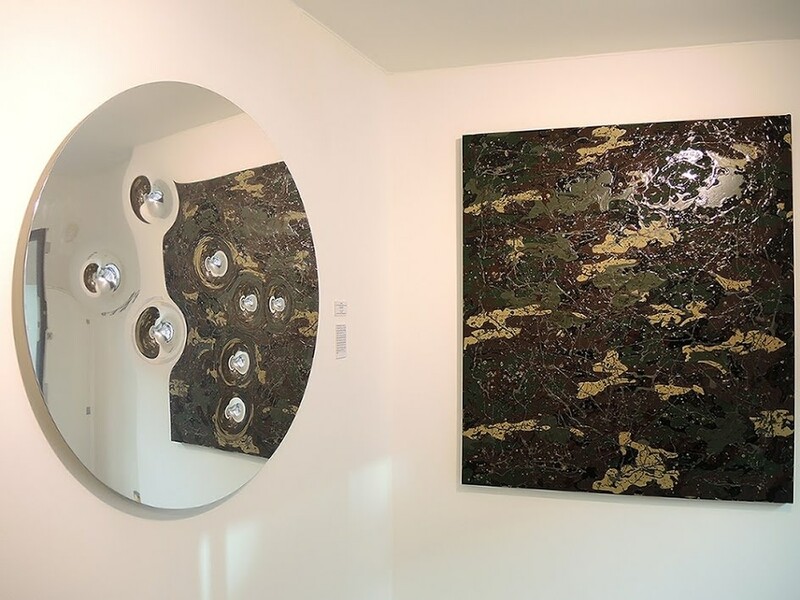 For sales enquiries please contact the gallery on +44 (0) 20 7240 7909 or email us at info@lawrencealkingallery.com.